Colorful flowers, birds, various animals and critters fill the handmade, arched frame of this mosaic. It is ready to hang and weather-tolerant outdoors even in harsh climates. 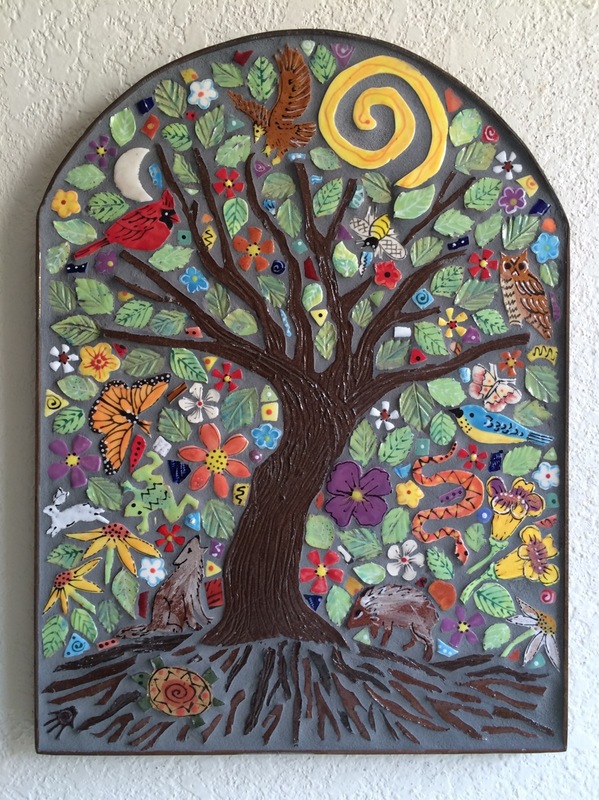 Tree of Life mosaic is available for sale at Harlow Gardens.